It’s been 20 years since the Mercedes-Benz GLE SUV initiated the premium SUV class, the new GLE SUV continues to stack up well against the competition and revolutionize the segment. From its modern front-end to its elegant profile, its body is a perfect blend of timeless style and forward-thinking craft. Spirited performance has always been a hallmark of the GLE SUV, and the newest line offers a standard 302 hp 3.5L V6 engine with 7G-TRONIC automatic transmission and AGILITY CONTROL® suspension for a powerful, efficient drive. The sweeping cabin is accented by available leather upholstery, and even fully-grown adults will appreciate the open and airy third-row seats. And from industry-first safety technology such as ATTENTION ASSIST® to high-grade connectivity in the guise of Apple CarPlay/Android Auto and an in-car Wi-Fi hotspot, its features are truly first class. 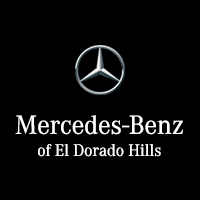 Garnering attention from critics such as Edmunds and US News, the new Mercedes-Benz GLE SUV is one of the most desirable models you’ll see across Folsom, Rancho Cordova, and Gold River. Why not schedule a test drive or apply for financing?